As a Master Instructor for the Spinning® program for 12 years, I rarely created my playlists – no, let me correct that – I never created my playlists based on the beat of a song. That doesn’t mean that sometimes I didn’t ride to the beat, I sometimes did (more on that in a sec) but it wasn’t ingrained in me to select a song based on the beat. It wasn’t ingrained into the Spinning® program, either. (At least not here in the US). It’s not in the music segment of the manual (unless the manual has changed in the last two years since I left), and during those 12 years I taught the Spinning® orientations, it wasn’t a part of the “how to use music” segment of the Orientation. Very few Master Instructors I knew used the beat. It wasn’t prevalent at conferences, including WSSC. Some MIs who came over from Europe were more inclined to, but it’s safe to say that the majority of sessions at WSSC did not. This past Spring I presented at the Fitfest Conference in Scottsdale, AZ, filling in for a Master Instructor for the Spinning program. She had created a fantastic workshop on Riding the Musical Elements, that I had to teach. She really knew her music, and I learned a lot in the process. It was an excellent workshop that explained rhythm, meter, measure, downbeat, how to ride to the chorus and verse, and many other musical terms. But, absent was any mention of the beat. Not surprising, since she comes from the Spinning® program. However, I felt compelled to add a section on how to use the beat, and included that in my own ride for the session. There is absolutely nothing wrong with this way of using music – in fact, it is a very freeing way to use music (and vastly expands your music library when you are not limited to specific terrain for that song), and I was very successful at it for over 12 years! I was often told at conferences by attendees that they really liked my music choices, so obviously it hit home with many. But when I look back at some of my conference playlists from 2002 – 2009, I was sometimes using songs with a bpm of 140 for fast flat segments for pedal stroke drills, or faster bpm songs for slower cadence climbs. I didn’t know it at the time, because as I said, I didn’t pay attention to that bpm. Instead, each song had an energy that allowed me to drive my legs at whatever cadence I felt like. Here is an example. The song Sanctuary, by Origene (still one of my favorites) that I used as a fast flat for a couple of years in several workshops. I could easily spin my legs quickly to this song. In most instances, when the cadence slowed down, I was actually riding to the beat for a lot of my climbs, especially for higher intensity, short climbing bursts. But I could also climb at a slow cadence to songs which to me had an energy of a hill. That is, when I closed my eyes and listened to that song, I saw a hill, even though the bpm was faster. An example is the song Distance by Radar. It is 95bpm, but I still saw a mountain. Half of that beat is obviously too slow for a climb – 47rpm (that would invite resistance that is too high for most riders). So when I rode to this song, my legs would settle into a cadence in the low 60’s. I think I can easily do this because I do on occasion ride with my iPod outside, especially when mountain biking, and there is no way to stick to the beat of a song when pedaling outside – it’s too artificial. So I am used to not climbing to a specific beat. About two or three years ago, I began corresponding with a lot more European instructors and hearing that they could not ride a flat road to some of my song choices. Jorg, who is now my excellent music contributor for ICA from Germany (he does most of the Friday Favorites which is predominantly unique electronic genres), told me a few years ago that even though he loved my profile for Loop de Loop, he could not ride to the songs I suggested because the terrain changed and the beat didn’t! So he Mixmeistered his own version, changing the beat for each change in the terrain (uphill/downhill changed quickly in that profile). OK, no worries, different styles, I thought. But I was intrigued…. So I began exploring riding to the beat much more than I ever had. And I am a convert! I can honestly tell you that my teaching experience has changed dramatically. I now explore a much wider variety of cadences with my students than I used to, and I can guarantee that they are actually getting there and improving their average cadence. If you are lucky enough to have cadence meters on the bikes, you can much more easily ask specific cadences of your students and get them to understand what that cadence really feels like at various loads. But when you do not have the meters (still the majority of facilities), using the bpm of the music is by far the best method to establish cadence. I’ve thrown out my metronomes forever! They are just too cumbersome and too annoying in the mic. I am not saying one method is superior to the other – I have been successful at both. There are definitely pros and cons to each method. I’ve decided to explore those pros and cons in a series on the Indoor Cycling Association in the coming month, and use it to teach instructors more about the bpm of music. I’ve discovered that many instructors do not know how to determine the bpm of a song, or even how to ride to it. Again, there is nothing wrong with that. This realization came about this past week following a thread I posted on Pedal-On asking for high-cadence mainstream songs. Since I now love to use the bpm of songs to define my rpm, when I create playlists for my Audio Master Classes and other profiles on the Indoor Cycling Association, I realized that my music is very heavily weighted with electronic genres, such as downtempo, world beat, psytran and others. For the profiles on ICA, I want to be able to provide alternative playlists for instructors who prefer more mainstream music. Therefore, I need to expand my own library of mainstream (pop, rock, indie, etc) music since I am now reaching out to instructors around the world with a much wider music preference. I realized that I do not have very many mainstream songs that are good for high cadence. In my Pedal-On post, I asked for suggestions for mainstream songs that are 180 – 220 bpm, to be used for cadences of 90 – 110rpm (this can also include songs that are 90-110bpm – it depends on the genre). There have been a lot of great suggestions, and yes, I am expanding my own library with many of these songs and I am grateful for that. But, interestingly enough, I have found that few are actually in the bpm range of 180-220 (except for those from the instructors who actually listed the bpm next to their song suggestions). Many of the suggestions are really a LOT slower, and are climbing songs – that is, IF you were to ride to the beat, as was the topic of the thread. What I realized is that these instructors are like the “me” I described in the first half of this post, the “me” during my 12 years as an MI for Spinning. They too learned the Spinning® method of riding to the energy of the song rather than the beat. They hear a high energy and they translate that to high bpm and they can easily ride at a higher cadence, like I did for years. Living La Vida Loca, Ricky Martin. In reality it’s 120BPM = 60rpm but there is that high-energy Latin feel to it so many would interpret it as faster. Afro Left, Left Field. The drums do sound fast, but it’s only 130BPM = 65rpm. Running Down a Dream, Tom Petty. Gosh it sounds fast when you first hear that introductory guitar lick, but count the beat and it’s “only” 140BPM = 70rpm. How Far We’ve Come, Matchbox Twenty. A little bit faster, at 168BPM = 84rpm. Incidentally, this song was on my playlist at the Fitfest conference session on music, showing an example of a high-cadence climb, and using the chorus and the verse to change position. Where’s Your Head At, Basement Jaxx. At bpm, yes that is fast. But to ride at 128rpm is way too fast, so this song is best used as a 64rpm climb – or ignore the beat and ride at whatever you feel like, which is totally cool too! So, I am not passing judgment at all here, because I’ve done both styles and I love both styles and I condone both styles. However, I’m also thinking that there are not many opportunities for instructors to learn how to determine the bpm of songs, how to ride to that beat, and how to build profiles around the bpm of songs. This is especially true for instructors coming from the Spinning® program since it is not a part of the program (in the US…. Europe is another story). I’d love to get a discussion going. do you ride and teach to the beat? Why or why not? If not, would you like to learn how, or are you completely at ease with how you do it? Music motivates you – it’s scientifically proven! Ma Bicyclette rocks!! Get this song now! At WSSC this year, Luciana did a workshop called “Cadence Unleashed: the Flats” where she taught us (or in my case, tried to) to identify the beat of a song and ride to it. It was quite a challenge for a majority of the participants who were not musically inclined. She played a song, had someone ride to the beat and had us goes what the bpm or cadence was. Quite cool and quite a challenge. Learning how to determine the BPM of a song, or at least realize how to use it in a class profile would be awesome. I coach my students and often I have to reinforce that the music is the soundtrack layer that inspires the movements of the ride, and doesn’t particularly define the cadence. This is because when you do have a fast song, there are some students who tend to ride as if it was an aerobic class and either spin too fast, too slow, or emphatically stomp on the cranks to keep up with a beat instead of creating a smooth cycling movement. This is not to say that I haven’t used the music bed as a tool to help guide cadence! For example, I have taught a strength profile with 3 songs with a progression of about 80bpm, 70bpm to 60bpm to guide cadences through a climb. This greatly helped students to actually add resistance and feel the progression of cadence/resistance over the course of a moderate to heavy climb. I found the key is if you coach with cadence, you also reinforce form and the natural smooth cycling movement so that your class doesn’t look like a step class! excellent point. I used to think the same way, and it was one of the reasons I did not teach to the beat. I thought they would spin to fast or emphatically stomp on the pedals instead of a smooth cycling movement. What I discovered was just the opposite. If I have a bpm of 90, 95 or 100, their cadence is 90, 95 and 100rpm – that’s not too fast and doesn’t inspire them to pedal faster than that. In fact, because we are pedaling to this beat, for those people who might have the tendency to pedal way too fast (the hamster on crack image comes to mind) then this can actually slow them down! It has proven to be an excellent means of teaching them control and to have a smooth cycling movement at that speed. Usually if I go above 105ishrpm, it’s in shorter intervals, or I make sure to give those who I know who have problems with high cadence the option to take slower recovery breaks. There are a few of my regulars who struggle with fast cadence and if they had their way, they would always pedal between 60-70rpm, even on a flat. My revelation the past few years is that these “high bpm/highcadence” songs have been exceptionally helpful at improving pedal stroke technique. It is a lot easier for people to ride along with the beat when it is slower, for example, on a climb (anything 160bpm/80rpm and slower). Matt, you too have an excellent point. Some people just can’t hear the beat very well, including instructors. It can be learned….for some people that is. We all know those people who don’t have a musical bone in their body – but they can still be excellent coaches. As we all know, this isn’t step class! 😉 Using the beat is just one handy tool in an instructor’s quiver – it’s not for everyone. Like the nature vs.nuture debate that raged for years, it turned out they were both right. And both wrong. Regarding riding to the beat, I have heard passionate defences of not doing so and others completely mystified that others even contemplate ‘failing’ to incorporate the beat into every movement. I note that the bike room is often the last refuge of the uncoordinated. Not everyone can hear a beat. Of those that can, not everyone translate what they hear into a rhythmically matching gross motor task. Therefore when I do choose a track where the music and exercise cadence can match, I’m usually pretty careful to ensure riders understand that riding to the beat is an option but not a neccessity. I enjoy riding to a beat, I enjoy riding to the feel or vibe of a track. Probably the key here is to know what you are doing, why you are doing it, enjoy it, share your enjoyment (passion) and provide options for the proportion of your students that would prefer another option. No one fails in a cycle class. Every turn of the pedals counts for something. I have to admit, once I did cross that line to the “ride to the beat” side, it’s very hard not to. Now, when I just want to veg and pedal to the rhythm of a song and not the beat indoors, I have to make a conscious effort to release from it. On the other hand, when I ride outside to music, as on my mountain bike rides, I cannot ride to the beat – it artificially raises my intensity (and the cadence changes too quickly on an undulating path). Having been on both sides, it’s easier to understand those who don’t/can’t ride to the beat, and to be able to allow other options. Perhaps someone who ONLY has ever ridden to the beat indoors, both as a students and when they were trained as an instructor, that person could benefit with a little mountain bike ride with me and their music! 😉 Let the rhythm set you free! Nevertheless, I am really excited for my upcoming series on the BPM of music and using it in class. You are not alone Kala! It really struck me how common that is, when I saw all those suggestions on Pedal-On for “fast” songs that were actually only in the 120’s and 130’s for bpm – I think many instructors think the songs are faster than they are. And I thought the same too, until a few years ago when I actually started counting the beat and trying to stick to it. Again, it’s easy at 70 or 80 rpm. But not at 100, 105 etc! Kind of a revelation in fact. – following a strong beat can assist people with establishing the correct cadence AND with improving their form. – the easiest way to slow down refugees from the “hamster wheel” classes is to have them ride to a good strong beat that you think is safe. – many of my new riders with no exercise background are afraid to move their cadence above 80 or so. There is no way I can help them increase their leg speed unless I ask them to ride to the music. – re Kala’s comment: more and more “modern” songs have multiple beats because there are tracks layered on tracks. Often 60ish and 120ish bpm songs can also be ridden at 90ish. I make a note of those in my iTunes library when I come across them. When I am teaching a profile I give my students either a specific cadence target or range, depending on what we’re trying to accomplish. If I forget to mention it, about half of them check in with me to ask “What’s the bpm of the music?” and they then use that information to help them. Once a group of riders has both good form and control over cadence I mix things up. I deliberately use vague-bpm music to challenge their form and control – like taking off the training wheels. When we are doing profiles that directly relate to some of the challenges of riding outside, I will sometimes use a song with a fast bpm and ask them to ride slower than the beat (eg song is 110, they ride 90 – all within a certain HR zone) so that they can learn to be in charge of their own bodies. I almost always use vague-bpm music when we are doing mind-body work. But once again, with more advanced groups, I will set up a challenge where they start a long period of interior focus with a vague-bpm song and then I switch things to a stronger beat and ask them to stay in the same “head space”. That’s tough and some appreciate the challenge more than others. these are excellent points and ideas. I also like to use more vague bpm songs (or subtle bpm) on introspective mind-body segments and do not specify the cadence, since it’s not the focus. I’ve noticed maybe half of the class will pedal to the beat, and the other half falls into their preferred cadence (usually slower, with my group). Can you give me an example of a modern song with multiple beats that I can search on Youtube? I am traveling right now and don’t have access to my iTunes library but off the top of my head I can recall that the Gambafreak remix of In-Grid’s Shock works well. If you do the classic bpm measures it comes in at somewhere 65 but it can be ridden at 97- 98. And Sounds of June by King Sunshine works at around 91, even though you might evaluate it at 61 or so. I always check 60ish songs to see if they are rideable at 1.5x the obvious bpm. Sometime Around Midnight by The Airborne Toxic Event initially works at 64 but can also be used at 80. That’s 1.25 the initial assessment. That one’s not so obvious until you get on a bike and try to ride it. When I get home in early October I’ll send you some more examples. I often, but not always, ride to 1/2 the beat of the music and go slower or faster at the chorus. Some songs have a slower beat, but feel just fine as a sprint. Some songs like bright lights bigger city can be ridden double time and feel right. The BPM are 113 and riding at 55 is too slow. > 100 feels about right for this song.I figure out the beat while listening to the music. Sometimes I use a download I have called tempomagic. Not only does it calculate the beat, it will also change the beat , up or down 24%, without distorting the music. It was $5 and is a nice little tool. I do work my playlists out so that we ride to the beat mostly, but I must admit that it is hard work and as we know, not everyone of us can hear or feel the beat correctly. So I am not always to sure if my feeling is in touch with the real bpm. I would be very interested in learning more about the bpm of a song and to teach accordingly. Hi there, i am from Malaysia and i have been teaching RPM, Schwinn and Spinning for 10 years now and a very firm believer of following the beat, especially on the climbs cos it gives students the focus and the aim to follow and challenge themselves, especially for the advance students, i go the extend of getting an app that records the BPM for me to select fast and slow hills at 60-80rpm, and i do a lot of work for hours to create a class. as much as my students loves it so much, theres constant resistance from Spinning instructors who are against following the beat hence the students gets confused with the 2 school of teaching although i would say both has its pro and con. but anyhow, thank you for this article. i will share this with my students. Hi Ultraman, welcome! I recently wrote a detailed post on ICA (it is ont he membership side though, with lots of tips for teaching to the beat and how to tag your music with the BPM. I’ve tried so many different ways and finally have found one that saves tons of time. You hit an important point. so many “Spinning” MIs do not, and have not, followed the beat. When I was an MI, we were encouraged to not teach the beat at the orientations, but instead to teach them to listen to the energy of the song, close their eyes and “see” the road that the music inspires. While I do think that is a great way to do it, for me, that visual is usually inspired by the beat. It might be something innate in those of us who have more of a musical background, I’m not sure. I do know some people are inspired by music in a completely different way. No way is the “right” way – some ways are just easier for students to follow. I believe we, as instructors, should be able to inspire all of our students in a variety of ways. Some can follow the beat, some can’t. So in my mind, use a song with the beat that you want and for those who don’t hear it, let them follow your own legs or those of the students around them. That would usually be 120-160bpm for climbs, and 160-200 or 80-110bpm for flats (depending on if it’s on every beat or every other beat – this is totally dependent on the song). That difference with some “Spinning” instructors who don’t believe the beat is necessary does make it a little harder for some students…but I also believe that if someone is beat-oriented, they’ll follow the beat no matter what. However, as you probably know, if this means the song is 120bpm and the instructor says to ride at 90rpm, that just doesn’t compute in that person’s mind! As I said in the article, I used to be like that though and it never really was a problem. Maybe I just never had anyone who was super beat oriented as my student! I am a spin student with a perfect sense of beat. My spin instructors do not teach to the beat. I have to work very hard during spin (and any other exercise class) to disregard the beat of the music, because either the instructor is not on the beat or the beat is not appropriate for the skiill we’re doing. It actually horribly breaks my concentration at times. It’s almost detrimental to be so “beat ” concious. Maybe the solution is to have a CD with an appropriate beat to follow if a student so wishes, but not require it. I’m trying to learn how to teach to the beat but there is so much conflicting info out there. Some sources say to use a 1/1 ratio on BPM to RPM, so if you’re sprinting at 100 RPM you want a 100 BPM song. Others say you use a 2/1 ratio on BPM to RPM. So if you’re aiming for a 100 RPM song you need songs with 200+ BPM which I feel are impossible to find. Feedback? I have never agreed with Mad Dog about this issue. Why would you ignore rhythm when it is blasting (or hopefully played at a sane level) from speakers all around you?? The sound waves are being felt over every inch of your body. Moving your body in a pattern that is out-of-synch with how your brain waves are firing seems counter-productive – like a chain slipping gears. I also believe going to the rhythm creates a sort of active meditation. When it works perfectly, I leave class with a physical AND spiritual high! I only ride to the beat, unless we are racing and use the beat as the baseline to which to return between races. I use the iPhone free app called Scion to determine the bpm for each song on my playlists. beying musician – especially drummer since 6 or 7, I can not ignore rythm. Simply I am unable to. Rythm is for most music used for spinning and training foundation, the base. How can you build a house without foundation 😉 ? Even songs without drums have their rythm. Finaly a note to Jenifer: you wrote that Living La Vida Loca, Ricky Martin, is 120BPM. Well, it is not. It ‘s BPM is about 178 I guess. Running Down a Dream, Tom Petty – you wrote 140BPM. But it is about 170. Hey Mark – nice comment… see mine below. Re Vida Loca BPM: how are you counting 178? On the percussions? Or on the bass drum? Thank you for sharing your knowledge. I am learning BPM or trying to. Lots to clarify. And my music library is small compared to others. But I think I am supposed to first determine the total BPM for a song (struggle to do this for me) then see if it fits into the position …hill,flat,jog by halving the total BPM????? Cadence is important regardless of how you keep your rhythm. Great article! Totally teach to the beat. Always have. I learned about bpms, downbeats, etc back in the early 90s when I was learning to teach aerobics classes. Then when I became a spin instructor in 1998, I didn’t even know there was any other way to teach to music. In fact, I couldn’t understand how instructors DIDN’T teach to the beat because it felt jarring to my body not to. Teaching with the music enhances the whole ride and experience when you feel it. It goes much deeper into the soul. I agree with Mark. I always use the beat/temp/rhythm, energy, chorus etc. when designing a class. There are numerous psychological studies that show our brain tries to keep to the beat of the music when walking, running, riding etc. If you line the tempo up with cadence and resistance you are trying to accomplish, people will naturally try to keep up with it without even realizing it. If you are on a hill to a particularly fast song, riders tend to over exert themselves or turn down their cadence to catch up with it. It is also very difficult to ride fast to a slow song. My biggest peeve about spin instructors and their music choices is they choose music that they like, regardless of their audience. It’s great you might like Jay Z…but it’s not about you. Nobody is coming for yur eclectic music choices. I work at a club and the average age of the members is 40. I play a variety of music and I limit the rap and techno because they just don’t like it. You can see it energize them when a song they love comes on and they can ride to it. I always say, my spin class is a fitness class, not a disco or a concert, and I use music to make it enjoyable, energetic and challenge my riders and enhance the experience. I started instructing step classes as a new instructor around 15 years ago. I’ve now been teaching spin for close to 10; I recently had a student ask if i was a musician because i was always on the beat…I think my original training in step really drove counting the beats into my head. It’s helpful too because most music is a four count beat so you can have a rough estimate of how long you’ve been doing a drill and be less tied to a timing device. 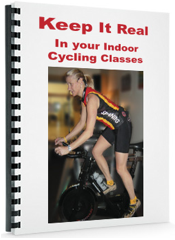 I’m relatively new to indoor cycling and have been shortlisted to hold a class. Am an avid outdoor mountain biker AND have been making music all of my life. I have a good sense of rhythm in music (straight, groove, polymetric). I like anything from classical to jazz to experimental electronica. 3)… speaking of which – why is it necessary to scream above a track where vocals are very prominent? Why can’t instructors see that there is an awful frequency overlap between the music and their screaming? Wouldn’t it be easier to play an instrumental track and therefore have enough “space” for the instructor’s voice? I have taught spinning for several years and always teach with the beat of the music. I think it is much easier to teach. More people will naturally peddle the pace you want if it is on the beat of the music. However, it is harder to make your playlist. I build my playlists in Mix Meister, which tells you the bpm and allows you to change it if you want to. I do agree though that the beat is not the only thing to pay attention to. The “mood” of the music is also important.